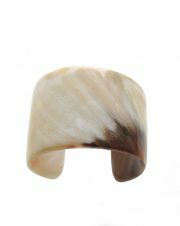 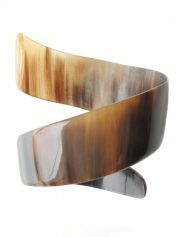 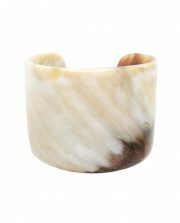 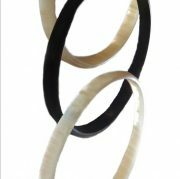 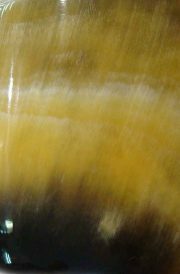 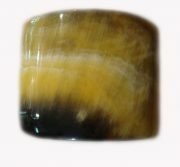 PFL bracelet spiral of polished bull horn. 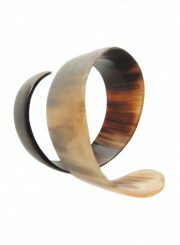 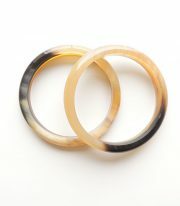 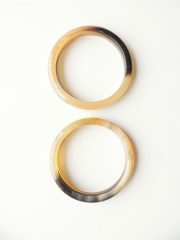 PFL bracelet two rings of polished bull horn. 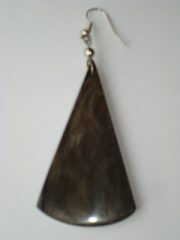 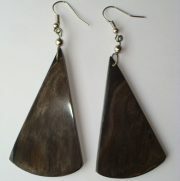 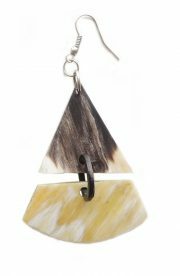 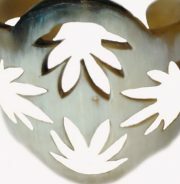 PFL Earrings, triangle figure made from bull horn. 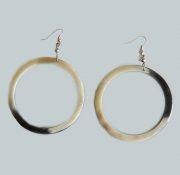 PFL Earrings, a combination of flat and round balls made from bull horn. 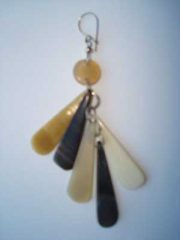 PFL Earrings, crescent figure made of bull horn. 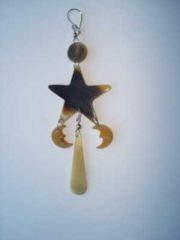 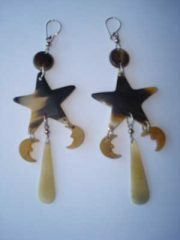 PFL Earrings, handmade polished bulls horn with star and crescents. 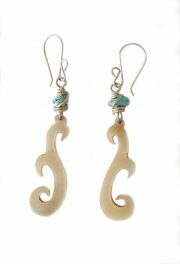 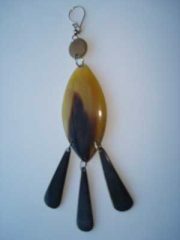 PFL earrings, Lightweight fine handmade figure in buffalo horn in combination with turquoise stone. 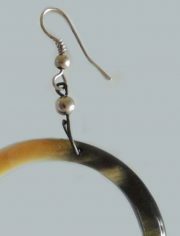 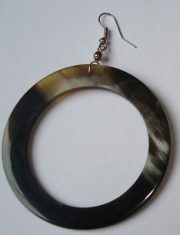 PFL earrings round in buffalo horn. 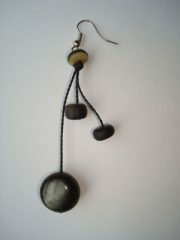 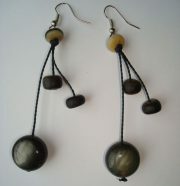 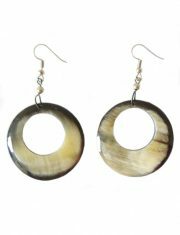 PFL, round earrings made from polished buffalo horn, lightweight. 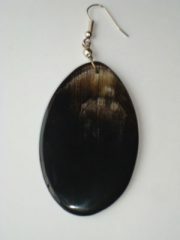 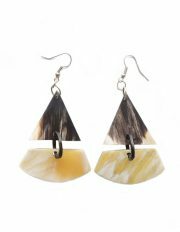 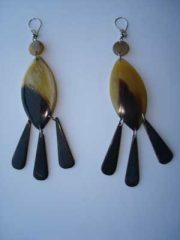 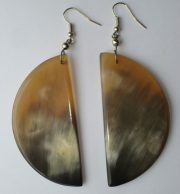 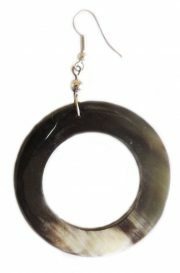 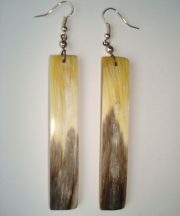 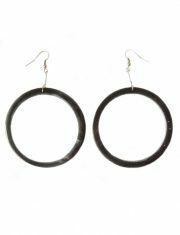 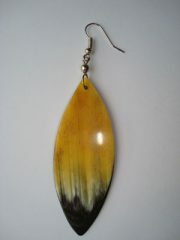 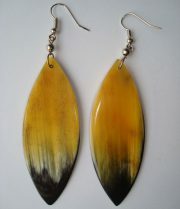 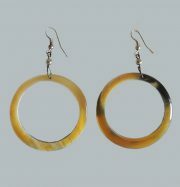 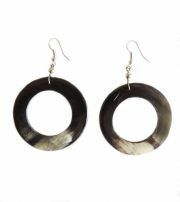 PFL, large round earrings made from polished buffalo horn, lightweight. 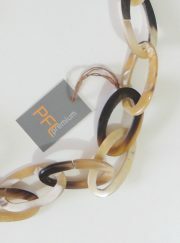 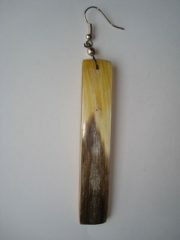 PFL handmade necklace buffalo horn. 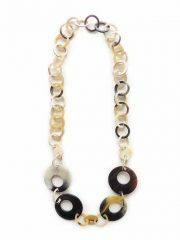 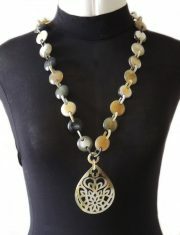 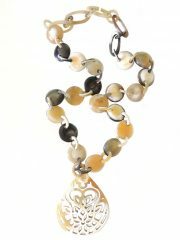 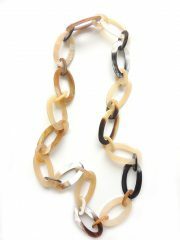 PFL Handmade necklace with round links and pendant in buffalo horn. 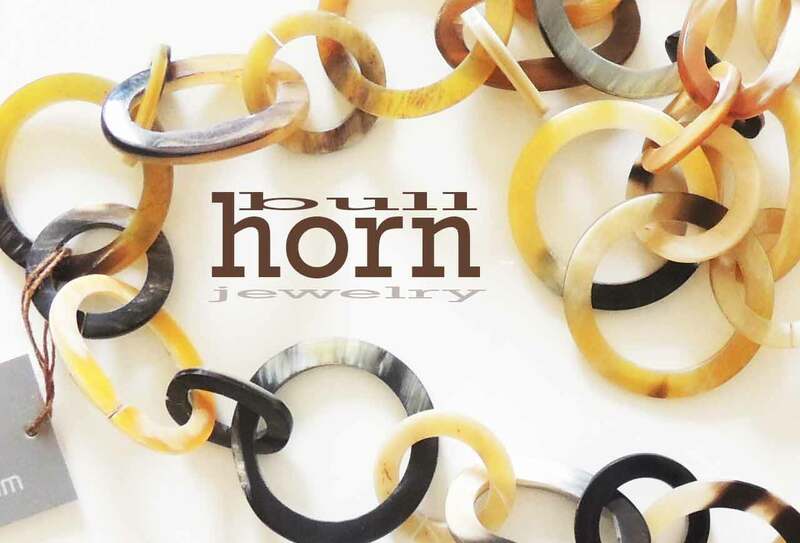 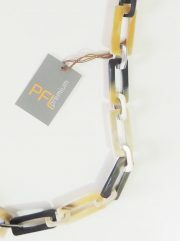 PFL wide bracelet polished bulls horn. 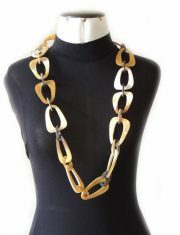 PFL necklace with large triangle and little round links made of polished bulls horn. 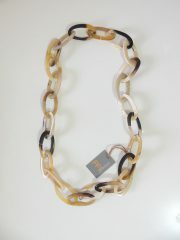 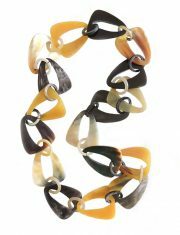 PFL necklace, handmade in a mix of round and oval links of polished bull horn. 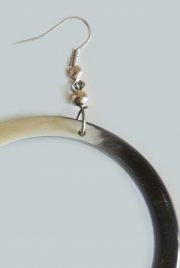 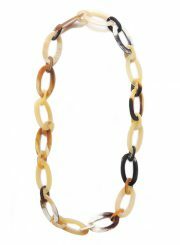 PFL necklace with large oval and little oval links made of polished bulls horn. 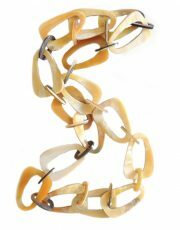 PFL necklace with large and little round links made of polished bulls horn. 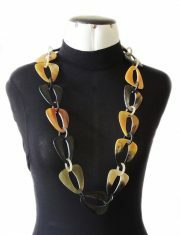 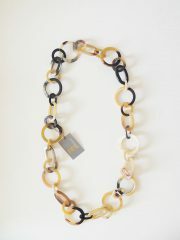 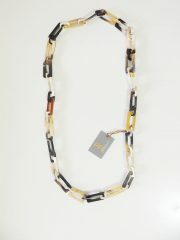 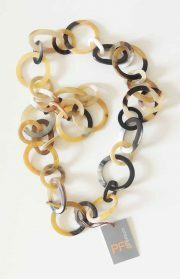 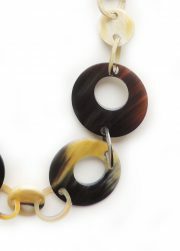 PFL necklace with triangular links with rounded corners and small oval links made from polished buffalo horn.